Using the given quantity of each material, design and construct a site-specific steel sculpture that explores the strength of a weld through cantilevering components. The Verrazano-Narrows Bridge is a marvelous structure and testament to engineering. Unfortunately, this boardwalk does not have any benches that provide comfortable viewing of the bridge. I decided to create a sketching seat that would encourage it. Drawing inspiration from this site, I inverted the supporting suspension cables of the bridge as the cantilever supports for the seat and desk, and incorporated cues from the water and boardwalk, as well. Design and build a table with a twist. Playing on the fact that a wooden table is a man-made manipulation of something natural, the gard[end] table incorporates the art of gardening, which is a similar concept. 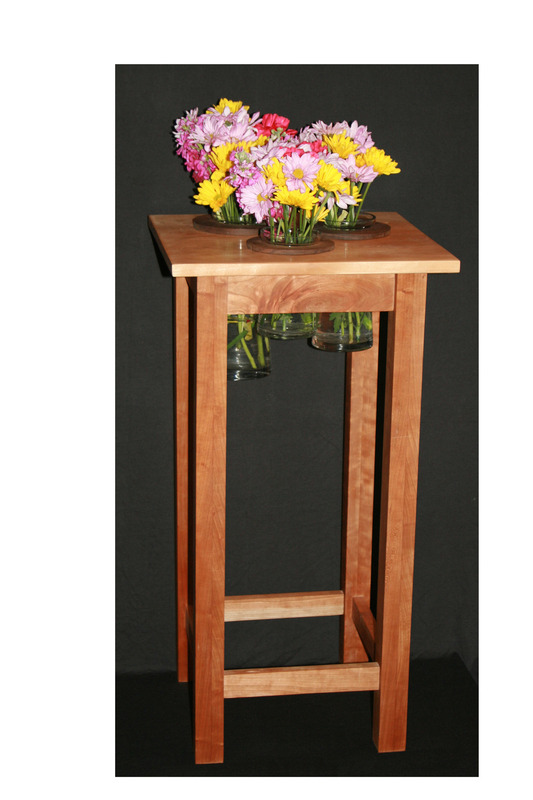 There are three removable vases that sit in the table top to emulate the designed process of planting of flowers into the ground.